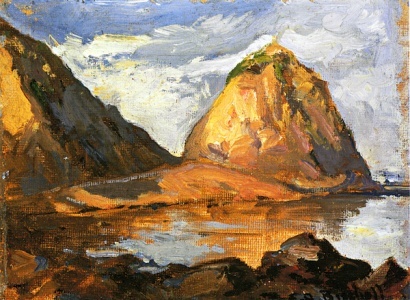 BISCHOFF, Franz Arthur (1864-1929), Austrian-born painter of impressionist landscapes who moved to the United States in 1885, where he founded the Bischoff School of Ceramic Art in Detroit and in New York City. Bischoff first visited California in 1900, and in 1908 he and his family relocated to Arroyo Seco in South Pasadena. 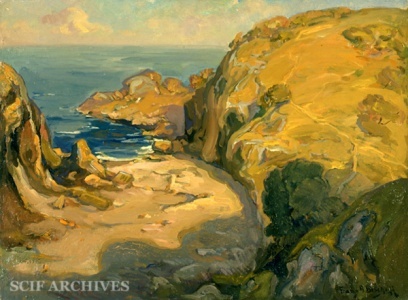 Through the 1920s he painted many California landscape scenes. 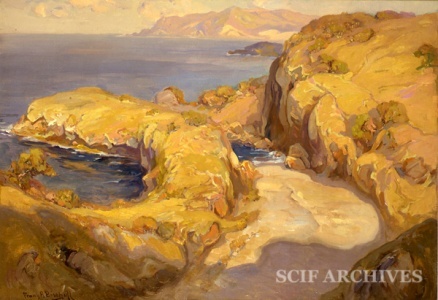 Bischoff is known to have painted at least two coastal scenes of Santa Cruz Island. He died in Pasadena on February 4, 1929. This page was last edited on 8 October 2016, at 18:52.